Everything you've heard about or read about that should be selling, isn't - so why aren't people buying those titles from our shop? 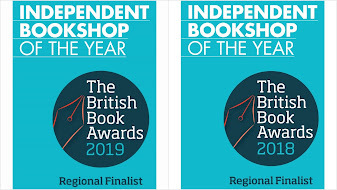 Of course, it's a bit much for us to start drawing too many conclusions from two and a bit weeks of bookselling, but I think focusing on chatting with and getting to know our customers has been a good antidote to BP. Paranoia aside, one official thing we have learned from our 2.5 weeks is that we absolutely love this job. We knew we liked books. But now there are the customers. And we love them too. Yacking all day with people about their enthusiasm for books has got to be the best way to spend the day. It is a privilege. The demand for coffee seems to drop off exponentially above 30 degrees. You wouldn't believe how long it takes to mop the floor of a small shop (when do normal booksellers get their cleaning done? Not sneaking in on a Sunday, the only day we're closed, I'll be bound). We have a lot to learn about stock ordering and management - but thanks to advice from Crockatt & Powell, Andy Laties and Wenlock Books (amongst many others) our opening stock was well received. It's such a joy when people tell you it's like the library of every book they'd like to have at home, or that it's so nice to have a bookshop run by people who obviously read books. Displays make a huge difference, and one of the big jobs we have hardly scratched the surface of yet is writing our recommendations. DHL have the most cheerful delivery drivers. You don't sell any Fifi and the Flowertot activity packs - and then three go in one day. It turns out you can have too many copies of the Da Vinci Code. No matter what you've got in stock and what you think you've got a small knowledge about, people ask for help choosing the most bizarre catagories. Just as we're breathing a sigh of relief about getting our opening stock looking nice, we realise we should be ordering for pre-Christmas. People do want to shop local. I think the biggest thing we've learned is that Abingdon is full of delightful people who love books and do seem to want a shop in their town centre where they can enjoy shopping. The positive feedback we've received from people wanting us to do well has been tremendous. Aside from the fact that it's where we live, we couldn't have wished for a better place to open our shop, or receive a warmer welcome from everyone (literally today - it was 33 degrees). Yep - courtesy of the new fridge/freezer we put in last week, ice-cream is on the menu (small tubs of, no 99s yet). Oh yummy. One of these days I may have to actually find out where Abingdon is and make a special trek. Fantastic books, coffee and ICE CREAM! As to the emergence of information from data: the pleasure of a good computerized inventory system is that it allows a dispassionate analysis of your sales patterns. The longer you're open, the more you'll be able to meaningfully print out sorts and re-sorts of your sales history (by category, or by sales-rate; not by publisher necessarily) while feeling confident that you understand what the numbers mean. If you remember to reorder every title that sells (always reordering in small quantities) you'll be able to give the customer-base a chance to demonstrate to you which of those titles that you're testing are real "sellers" versus which titles accidentally sold that one time to the only buyer that was available for that book during that year. Great-selling titles will emerge from among the initial stock you laid in. Your store's bestsellers will be books that are completely different from any other store's. The strong-selling books will form a gradually mutating assemblage -- a year from now the "bestsellers" will be a different assortment, though with some overlap relative to the current bestseller list. I think that in-store bestsellerdom emerges in part because of a me-too feeling among the customers. Also though, as you say, specific books sell quite differently if they're displayed differently. And if you completely rearrange the store, these same books will feel like a completely different selection of titles from the perspective of your same customers. It's terribly interesting. But from a holistic perspective, sorting and resorting the historical sales data -- by category, by sub-category, by fast-sellers, by slow-sellers, by price-point -- really helps you understand how to massage the overall inventory direction into and out of successful and failing concentrations of books within the titlebase. Invaluable advice from Laties there. We're always amazed when we run our sales reports at what has been shifting units. 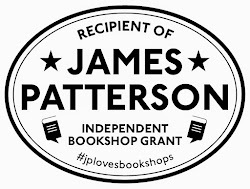 You think you know... Also, remember that customers may love your shop because you stock those obscure small publishers or the kids books from america but chances are they'll walk out with what everyone else is buying. You'll know what you're core stock is pretty quick, don't run out. Glad to hear you're enjoying yourselves but I have to take issue with one point. Our DHL guy is the most miserable human being on the planet! simple solution is cold coffee. Make a pot the night before and refrigorate. Next day its ice cold and when customers order they really appreciate that they are getting a cup of COLD coffee not just an ounce with ice. It sells like hotcakes for us at our cafe. GOod luck. Am a book worm at heart and your living my dream!